Hydrocodone Street Prices: How Much Do People Pay? Street Value of Hydrocodone: How Much Does It Cost? Hydrocodone is a powerful potentially habit-forming drug that is the most highly prescribed opioid analgesic in the United States. It is a treatment for severe pain. This medication needs to be monitored carefully by a healthcare professional because it can cause slowing or cessation of breathing, among other serious signs of hydrocodone use. Some people take more of the medication or take it more often than prescribed or for a longer duration than recommended by their physician. This is called hydrocodone abuse. The dependence on this medication is both mental and physical. People who abuse this drug do so to achieve effects such as euphoria, lethargy, a sense of well-being, and reduced worry. Where do people get this drug and how much do they pay for it? What is the hydrocodone acetaminophen 5-325 street value? How can I get hydrocodone? What is the official price of the drug? What is the street value of hydrocodone? Abuse of this drug is common for two reasons – its highly addictive nature and the fact that it is easily available. 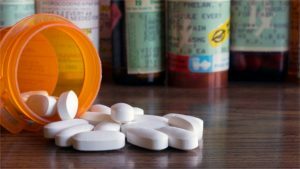 According to the Drug Enforcement Administration, more than 135 million prescriptions of this drug were dispensed in the United States in the year 2013, a steady increase from prior years. Some pharmacies and websites illegally sell the medication and allow users to buy hydrocodone 10-325 online without prescription. People who obtain the drug on the streets, as well as those who obtain it via prescriptions, can become addicted. The biggest issue is when the addicts start to take hydrocodone with other drugs to potentiate it. It is challenging for addicts to end use of this drug on their own. What do addicts have to pay for this drug? What is the hydrocodone acetaminophen 5-325 street price? Many of the opioid analgesics are a combination of the medication with acetaminophen. These are prescribed for moderate or moderate to severe pain. Although the acetaminophen component is not habit forming, overuse of this drug, i.e., taking larger doses or a longer duration of treatment than prescribed, can result in severe damage to the liver. Whn comparing hydrocodone and codeine, it is important to know that the former is much more potent. The drug is available in several forms such as tablets, capsules, liquids, elixirs, syrups, and solutions. Hydrocodone addiction can occur from excessive ingestion of any form of the drug. There are an estimated 11,000,000 Americans who use pain relievers for non-medical purposes every year. Unfortunately, teenagers and high school students make up a significant percentage of these addicts. Although there is an encouraging downward trend in abuse, the numbers remain concerning. The yellow hydrocodone pill which consists of 10 mg hydrocodone and 325 mg acetaminophen is believed to be the most potentially addictive. According to the National Institute on Drug Abuse (NIDA), 1 percent of 8th graders, over 3 percent of 10th graders, and nearly 5 percent of 12th graders were using Vicodin in the year 2014. Vicodin is a hydrocodone-acetaminophen combination that is widely prescribed. It is noteworthy that these numbers reflect only Vicodin non-medical use by teens and do not include other commonly available formulations, such as Norco and Lortab. It is evident that the vast majority of teenagers obtain hydrocodone illegally as gifts from family members or friends. Some of the teenagers readily share the pills with their friends, especially after the hydrocodone expiration. The online purchase of this substance is more complicated as compared to other drugs. Only 3 percent of adult users and 1 percent of high school seniors report buying the drug online. 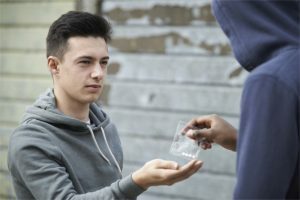 How much are teenagers paying for the drug on the street? What are the street prices of hydrocodone 5-325 and other formulations? Hydrocodone Prescription Prices: How Much Should I Pay? Before buying the drug on the street, buyers usually find out the official prices. This helps them understand the value of the medication and compare different versions and formulations to street prices. It is not possible to purchase this medication legally without a prescription. However, knowing the legal prices of the drug allows people to estimate the black-market cost of this substance. Street prices are much higher, of course, but the official prices serve as guidelines or references. The drug is available in various forms, mixtures, and sizes, but on average, the street value of a hydrocodone pill ranges between $4 and $10. A good resource to find out the street value of hydrocodone is to look at the website StreetRx.com. It is possible to look up the street value of Norco, the street value of Vicodin, the m366 street value, the m367 street value, and the Hysingla ER street value. The site contains anonymously submitted prices of drugs purchased on the street. It is possible for the visitor to enter criteria such as location, date, type of drug, variant, the amount purchased, and the price paid for it. An example of a search on this website is when the name “hydrocodone” is typed in the search box, a map of the United States loads with pinned locations. This indicates that information is available about the drug in those places. This information can be accessed from the panel on the right side of the screen. Hydrocodone-acetaminophen 7.5 325 street value (7.5 mg/325 mL pill), on October 27, 2016, one tablet was sold for $4 in Thomasville, Georgia, for $6 in Ann Arbor, Michigan, and for $10 in Irving, Texas. A pill of 10 mg of hydrocodone was sold for the price of $4 in Tulsa, Oklahoma on October 26, 2016, while one user bought it for $5 in Ohio on October 28, 2016, and another one paid $10 in Philadelphia, Pennsylvania on October 30, 2016. A dose of liquid 7.5 mg/15 mL hydrocodone/acetaminophen was sold for $5 in Kansas on October 22, 2016, for $19 in New York on October 26, 2016, while another customer paid $35 in Georgia on October 31, 2016. By combining the information from StreetRx.com and the legal guideline prices of hydrocodone, it is possible to extrapolate the best estimate of the drug one should be paying. Some of the abusers start taking CWE hydrocodone, which is the pure version of the opioid extracted from the combination drug, to get high faster. Looking for an opioid in the streets might be a sign of addiction that requires professional treatment. Self-medication is not advisable. There are many drug rehab centers that offer their services to those in need. If you or someone you love is abusing hydrocodone or other medications, call our free helpline (888)-459-5511 for more information on getting help. Advisors are available to answer your questions, give you more information on deaddiction, and guide you towards a healthier future. Calls are always confidential, private, and secure. Addiction Resource » Addictive Substances: The Anatomy of Drug Addiction » What Is Hydrocodone Addiction? Opioid Strengths and Uses » Street Value of Hydrocodone: How Much Does It Cost? What is the street price in September 2018 for Norco 10 in San Diego? I was only researching this, because I heard some young kids talking about it in the store. I don’t know why these kids try this stuff. I agree. Have had restless legs for over 30 years, last 15 years has been so severe it completely destroys my life. I am 84 and dr prescribed for 8 months. Took only 1 a night for relief, but because of opiod crisis, dr will no longer prescribe. Barbara Smith try CBD oil.